IDEA: The main idea behind this corporate advert was to visually position Engen Namibia as a leading Namibian petroleum brand that powers the “engine” of the country. 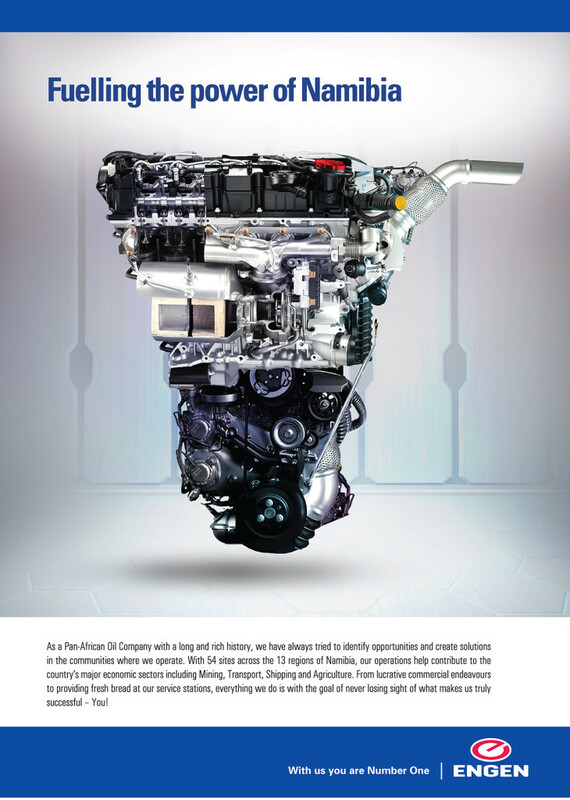 This we achieved by graphically creating a fusion between the country map, and a basic automobile engine. This quickly became the Key visual language of the brand as they could communicate their position whilst asserting their capacity and reach across the nation depicted by the large engine the size of the country.